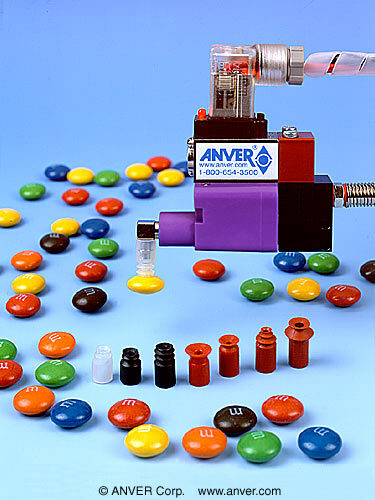 A full line of miniature suction cups, molded from a wide variety of specialized materials in a broad range of sizes and configurations, is being introduced by ANVER Corporation of Hudson, Massachusetts. ANVER Mini Suction Cups are molded from a variety of materials, including non-marring silicone, NBR, Nitrile, neoprene, natural gum rubber, vinyl, and urethane, in sizes from 0.13″ to 3.74″ (3 to 95 mm) diameter. Developed to match precise vacuum manipulation requirements, these miniature suction cups come in flat and single or multiple bellows styles. 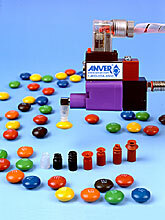 Ideal for high technology pick-and-place applications, ANVER Mini Suction Cups are suitable for food and pharmaceutical processing, laboratories, and cleanrooms. Anti-static formulations are also offered.